Professor J Weiss, late Professor of Radiation Chemistry at the University of Newcastle-on-Tyne, died on 9th April, 1972 (Obituary: Int J Radiat Biol 1972, 22: 311). His research projects with Haber in the 1930's are widely-known as landmarks in chemical science. For over twenty-five years he published many distinguished papers in radiation chemistry and was the first radiation chemist to attempt to unravel systematically the complex interaction between biologically important molecules and free radicals produced upon the radiolysis of water. Many of his students and collaborators have since continued this pioneering work and have made distinguished contributions to radiation chemistry and molecular radiobiology themselves. "Joe" Weiss was an active member of the Association for Radiation Research from its inception. After his death, a fund was raised by international subscription in order to initiate an award in memory of Prof. Weiss. 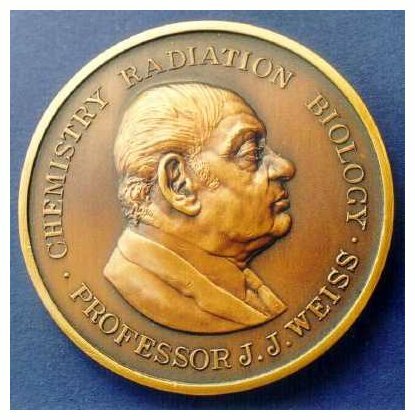 The Association for Radiation Research agreed to administer the Weiss Medal. 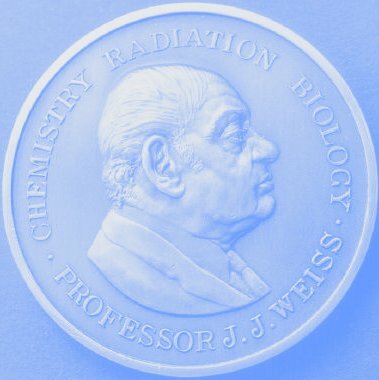 The medal has on one side a profile of Professor Weiss, surrounded by the words "CHEMISTRY RADIATION BIOLOGY" and the reverse bears the name of the Association together with the name of the recipient. Weiss Medallists are nominated by the Chairman of the Association for Radiation Research, after suitable consultations, as having made distinguished contributions to radiation science. Dr Simon Bouffler is Head of Radiation Effects Department at Public Health England’s Centre for Radiation, Chemical and Environmental Hazards and has been at PHE and its predecessor organisations since 1991. He has been Secretary of the Advisory Group on Ionising Radiation from 2005, a member of the International Commission on Radiological Protection (ICRP) Committee (2013 – 2017) and a Main Commission member (2017 – present). He has been a member of the UK delegation to UNSCEAR since 2006 and has led the delegation as UK representative since 2016. Dr Bouffler’s main research interests have focussed on mechanisms of radiation carcinogenesis and variations in radiation sensitivity. He also has interests in the effects of UV light, electromagnetic fields, chemical agents and mechanisms of normal tissue effects following radiation exposure. He has been involved in several European and international research projects, most recently co-ordinating the EU FP7 RISK-IR project that investigated the contribution of stem cell responses to low dose radiation cancer risk. He also chairs the MELODI platform’s Strategic Research Agenda working group. Dr Bouffler has made, and continues to make a significant contribution to the radiation research field. At the time of the Weiss medal award he has published more than 100 peer-reviewed papers with an h-index of 33. John Yarnold is Professor of Clinical Oncology at ICR. He was a clinical oncologist for many years but has always been very active in research, and has played an important role in interfacing basic and clinical research. He has led a large number of randomised clinical trials addressing issues of relevance to radiotherapy. He has more than 200 publications, many in Lancet, and his research has substantially influenced clinical practice for radiotherapy both within the UK and worldwide. An important aspect of his work has focused on addressing the “dogma” that normal cells show fraction sensitivity whilst tumour cells are sensitive to the total dose of radiation. Central to this was the START (UK Standardisation of Breast Radiotherapy) trials, which examined the clinical benefit of fraction size and exposed that hyperfractionation was of no benefit for certain tumours including breast cancer, a finding which has fundamentally influenced radiotherapy practice and benefitted patients. Catharine West is a biologist who obtained a PhD in radiobiology in 1983 at the Institute of Cancer Research in Sutton. During this time she developed an interest in measuring radiosensitivity and hypoxia. Following postdoctoral work at the University of Rochester Cancer Center in upstate New York, she moved to the Paterson Institute/Christie Hospital in 1986. In 2002, she moved to the University of Manchester where she became Professor of Radiation Biology in 2007. She has been a member/officer of a number of UK Radiation Biology committees and UK Clinical Study Groups. 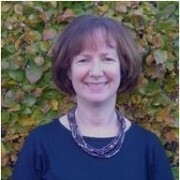 She is currently an associate editor for Radiation Research, on the editorial board for Clinical Oncology, on the UK Committee on Medical Aspects of Radiation in the Environment, on the Prostate Cancer UK Research Advisory Committee, Chair of the LH Gray Memorial Trust, an honorary member of the Royal College of Radiologists and an honorary fellow of the British Institute of Radiology. Her work focuses on measuring radiobiologically relevant phenotypes in cancer patients with a particular interest in translational research linked to trials involving radiotherapy. She was instrumental in setting up the international Radiogenomics Consortium. Catharine has three children and worked part-time for a number of years. At the time of the award of the Weiss medal she has published 247 papers and has an h-index of 53. Ian Stratford is a chemist by training and he gained his PhD in 1975 in the Pharmacy Department at the University of Manchester where he studied the radiobiology of bacterial spores. During this time he acquired an interest in how oxygen could modify the radiation sensitivity of cells and this led to a move to work with Professor Ged Adams on the pre-clinical development of hypoxic cell radiosensitizers. This collaboration with Ged continued for 21 years, first at the Gray Laboratory, then subsequently at the Institute of Cancer Research/Royal Marsden Hospital and the MRC Radiobiology Unit. 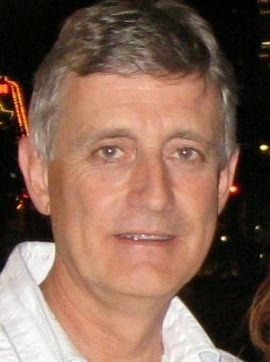 During this time, Ian’s research made significant contributions to the development of different classes of (hypoxia activated/enzyme directed) bioreductive drugs, understanding the metabolic and therapeutic consequences of manipulating tumour hypoxia and revealing the impact of the transcription factor HIF-1 on tumour growth and response to therapy. 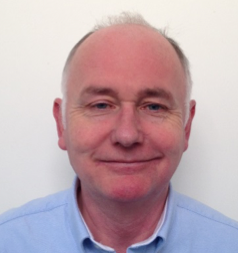 In 1996 Ian returned to the University of Manchester as Professor of Pharmacy, where he has continued to work on HIF-1 and developing methods to assess the level of hypoxia in human tumours. Most recently Ian’s work has focussed on the rational use of molecularly targeted drugs combined with radiotherapy and this work has been influential in the development of a variety of clinical trials. 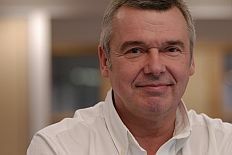 Ian has held national and international positions; these include membership of AICR and various CRUK grant committees, chairmanship of the EORTC translational research committee (2002-2006) and Chairman of the laboratory division (2006-2007), deputy chairman of COMARE (2008-2010), chairman of the LH Gray Trust (2010-2013) and most recently he serves on the NCRI CTRad executive. In addition, Ian was ARR chairman from 2000-2002. At the time of the award of the Weiss medal Ian has published 345 peer-reviewed papers and he has an h-index of 56. MSc courses in radiation biology. Professor Stephanie McKeown graduated in 1973 from Oxford University with a BA in Natural Sciences (Biochemistry). She then worked for 8 years in the Department of Neuropathology, Queen’s University Belfast (QUB). During this time she researched the pathogenesis of multiple sclerosis and completed a PhD on this subject in 1977. After a career break she returned to QUB in 1989 to a research post in cancer and radiobiology where she developed an interest in tumour hypoxia and the role of the tumour microvasculature in treatment response. In 1991 she moved to the University of Ulster where she continued this interest over the next 20 years, researching and teaching in radiobiology, cancer biology and pharmacology. More recently this has led to a focus on understanding tumour microenvironmental responses to treatment in prostate cancer. The work of her laboratory provided the preclinical data that underpinned the development of a novel hypoxia activated prodrug, AQ4N. She showed that targeting hypoxic cells with AQ4N, in combination with radiation and/or chemotherapy, could enhance anti-tumour responses; this led to several clinical trials. She is now working on a novel analogue – codenamed OCT1002 - in collaboration with a new UK company, OncoTherics. Professor McKeown has served on a number of national and international committees / organisations including: Association for Radiation Research (chair 2004 – 2006), Cancer Recognised Research Group NI (Chair 2005 – 07 & 2007 – 09), International Association for Radiation Research (Council member, 2005 - 2009), Irish Radiation Research Society (Chair 2007 – 09), Royal College of Radiologists, specialist examiner in radiobiology, Prostate Cancer UK Research Advisory Committee (2010 – present). In 2009 she was elected to a Fellowship of the Society of Biology. Dr Fiona Stewart is a senior group leader at the Netherlands Cancer Institute (NKI), Amsterdam. She did her PhD research at the Gray Laboratory Northwood UK, under the supervision of Julie Denekamp, on normal tissue damage after radiation combined with hyperthermia. After her PhD (1978) she continued working at the Gray Lab, focusing mainly on late radiation effects in kidney and bladder. She also collaborated with Julie Denekamp and Ana Maria Rojas to investigate the radio-protective effects of amifostine in normal tissues, and to compare this with any potential protection of tumors. In 1984 she moved to the Netherlands Cancer Institute in Amsterdam where she set up a new radiobiology group, together with Adrian Begg and with the support of Harry Bartelink. In Amsterdam she continued to investigate mechanisms of late radiation injury, particularly the long-term recovery potential of tissues and their tolerance to re-irradiation. Another focus of the lab at that time was the interaction between radiation and chemotherapeutic drugs, especially cisplatin, in tumors and normal tissues. During the 1990s Fiona set up a pre-clinical program to investigate the clinical potential of photodynamic therapy (PDT) for treatment of small superficial tumors. This pre-clinical PDT program resulted in the successful introduction of clinical PDT for oral cavity and skin tumors and a dedicated PDT unit opened in December 2006. The main focus of her lab is now on radiation induced endothelial cell and vascular damage in relation to late normal tissue injury. Ongoing projects investigate how radiation induces inflammatory and thrombotic changes in capillaries and large vessels and how these changes lead to progressive development of tissue damage and to atherosclerosis. 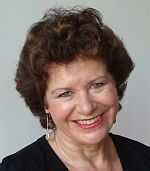 In addition to her laboratory work, Fiona has been an active member of ESTRO since its foundation in 1981; she is currently a board member and a core member of the ESTRO Education Committee. She also sits on Committee 1 of the International Commission on Radiological Protection. Professor David Hirst is currently Professor Emeritus in the School of Pharmacy at Queen’s University Belfast. He is also a Fellow of the British Institute of Radiology. He began his scientific career with a PhD in the Physiology of muscle contraction from the University of St. Andrews in 1975. This was followed by postdoctoral research in collaboration with Julie Denekamp at the Gray Laboratory, into the responses of blood vessels to radiation and how proliferation characteristics of the cellular components of blood vessels determine tumour growth. This work continued after a move to Stanford University to work with Martin Brown and lead to the concept of adaptation by tumours in vivo to changes in their nutrient supply, with important implications for hypoxic fraction and radiation response. He was appointed Adjunct Associate Professor in 1996. In 1999 he returned to the Gray Laboratory to Head the Tumour Vascular Physiology Research Group and continued research into tumour vascular research, specifically how modifiers of vascular tone and haemoglobion affinity affect tumour growth, oxygenation and response to radiation. The offer of a Chair in Radiation Science in 1994 prompted his relocation to the University of Ulster near Belfast where his research, supported by Cancer Research UK, focused mainly on the role of nitric oxide in tumour growth and radiosensitivity. His group developed nitric oxide synthase gene therapy and demonstrated that it could be a potent treatment alone or in combination with radiotherapy. His final appointment in 2004 was as Chair in Experimental Therapeutics at Queen’s University Belfast where, in addition to further development of cancer gene therapy, he has lead pioneering work into the potential of nanogold as a radioenhancing therapy for cancer. Professor Peter O’Neill is Head of the DNA Damage Group and Deputy Director of the Gray Institute of Radiation Oncology at the University of Oxford following his move in 2007 from the MRC Radiation and Genome Stability Unit, Harwell, where he held several senior positions. Professor O’Neill is also a Fellow of the Royal Society of Chemistry and a Chartered Chemist. During a long career he has become an expert on the chemistry of the types of DNA damage induced by ionising radiation, from the early free radical processes to the complexities of damage, and how these may contribute to carcinogenesis or radiation cytotoxicity. Over the years his research has made significant contributions to understanding the free radical pathways to DNA damage formation, the mechanisms of action of radiosensitisers and bio-reductive agents and the challenges that complexity of DNA double strand breaks present to the repair pathways. More recently his major research interests have focussed on understanding the challenges that radiation-induced clustered DNA damage sites present to the repair pathways and as a consequence contribute to carcinogenesis at environmental radiation levels or to the killing of tumour cells. He was awarded his BSc in Chemistry in 1970 and PhD in 1974, both from the University of Leeds, UK. In 1996 he was awarded a DSc from the University of Leeds in recognition of his contributions to 'Free Radical Processes in Chemistry, Biochemistry and Biology’. Following the award of his PhD his formative years involved post-doctoral periods at the Max Planck Institute in Mulheim, Germany (1974-77) and the Institute of Cancer Research, London (1977-1983). He moved to the MRC Radiation and Genome Stability Unit (formerly Radiobiology Unit) at Harwell in 1983 where he held several senior positions. He held several offices in the ARR including chairman from 1996-98 and is presently the Vice President of the American Radiation Research Society. 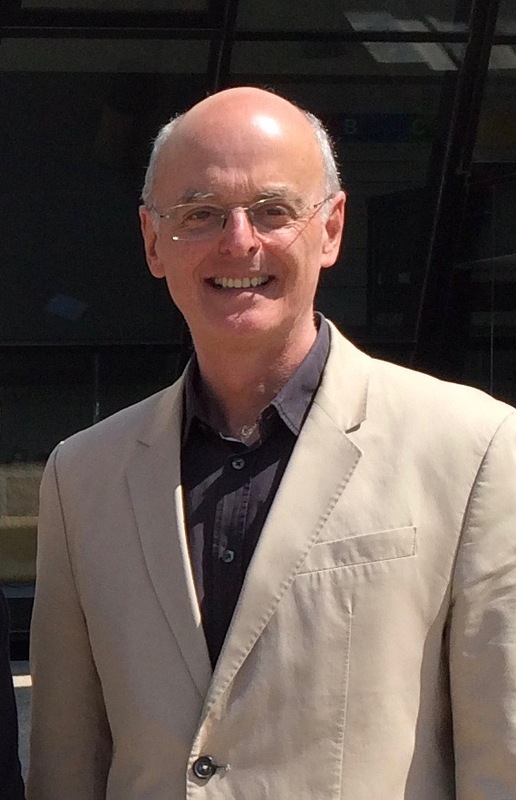 Professor Eric Wright moved to the Chair of Experimental Haematology in The University of Dundee following his research in Radiation and Genome Stability Unit, Harwell, where he held senior posts until 1999. Professor Wright is also the Research Dean of the University of Dundee's Medical School, a Fellow of the Royal College of Pathologists and a Fellow of the Royal Society of Edinburgh. During his long standing career he has demonstrated that haemopoietic stem cell proliferation is controlled by interactions within the bone marrow microenvironment. He has identified and characterized mechanisms contributing to this regulation and described radiation-induced chromosomal instability. More recently his research has focussed on how genetic factors influence cellular and molecular responses to radiation injury and how inflammatory-type responses contribute to the development of longer-term pathological changes. Professor Wright is the Director of the Leukaemia Research Fund's Specialist Programme in Radiation Leukaemogenesis and he is the recipient of The David Anderson-Berry Medal of The Royal Society of Edinburgh in recognition of "his outstanding work on cellular, genetic and molecular respects of radiation-induced genomic instability in relation to the development of leukaemia and other diseases". W. Gillies McKenna is Professor of Radiation Oncology and Biology at the University of Oxford and the Director of the University of Oxford's new Initiative for Radiation Biology Research, which is jointly funded by Cancer Research UK, the Medical Research Council and the University of Oxford. The Initiative combines the Medical Research Council's Radiation and Genome Stability Unit and Cancer Research UK's Gray Cancer Institute. Prof. McKenna's research links basic science studies with translational-clinical applications. His research has focussed on effects of radiation on cancer cells and on mechanisms of resistance to radiation with the goal of sensitizing cells to radiation by blocking mechanisms that control cell survival. Specifically he is interested in oncogenically activated signal transduction pathways that exert a radioprotective effect on tumour cells. His group has shown that the EGFR-Ras-PI3K-PTEN-Akt pathway appears to the major radioprotective pathway active in most solid tumours and this pathway then presents targets that could be manipulated in a clinical setting to modify the radiation response. His clinical interests are the treatment of lung cancer, soft tissue sarcomas, skin cancer, head and neck cancer, and melanomas. Professor McKenna was born in Scotland. He received a Bachelor of Science in Zoology at the University of Edinburgh in 1972. He was a member of the Medical Scientist Training Programme at the Albert Einstein College of Medicine in New York and received his M.D. and Ph.D. in 1981. His Ph.D. thesis research investigated the cleavage patterns of DNA by mammalian endonucleases. Following an Internship in Medicine at the Johns Hopkins University Hospital and a Residency in Radiation Oncology at the National Cancer Institute. Dr. McKenna moved to the Department of Radiation Oncology at the University of Pennsylvania School of Medicine where he rose to become Chairman and Henry K. Pancoast Professor of Radiation Oncology. In 2005 he moved to his present position. He is the author of over 90 research articles and 40 editorials, reviews and chapters. He has edited a textbook on Clinical Oncology. He was the President of the Radiation Research Society and a member of the Board of Scientific Advisors for the National Cancer Institute. 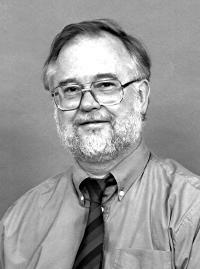 The Weiss Medal for 2003 was awarded to Prof. Christopher Potten at ICRR 2003, Brisbane, Australia. Prof Potten is an international authority on the organization and regulation of epithelial tissues and their responses to ionizing radiation and a pioneer of stem cell biology. In 1971 Chris was appointed Head of the Department of Epithelial Biology at the Paterson Institute for Cancer Research in Manchester, a position he held until 2000 when he assumed his present roles of Chairman and Director of Epistem, a pre-clinical contract research company focussed on epithelial tissues and their stem cells with specific expertise in cancers and cancer therapy side effects. In the late 1960s and early 1970s Chris Potten's studies of epidermal cell kinetics led to his description, in 1974, of the murine epidermal proliferative unit (EPU), a concept that has general applicability in many species including humans. Over his career, Chris has undertaken numerous investigations with the major theme of the in vivo responses of epithelial tissue to ionizing radiation. His studies have led to the identification and characterization of stem cells and their dependent lineages in the small intestine, the description of the proliferative and structural organization of the filiform papilla of the tongue and the tongue proliferative unit and an understanding of the biological significance of apoptosis in the gastro-intestinal tract. His work on apoptosis has led to a new hypothesis to explain the differential cancer incidence in the small and large intestine and provided a major contribution to understanding the role of apoptosis in stem cell homeostasis and stem cell protection mechanisms. In recent years he has been involved in studies determining the genes controlling apoptosis in the gastro-intestinal tract and demonstrated that exogenous growth factors can be used to provide significant levels of stem cell protection against radiation-induced apoptosis. Alongside these investigations, Chris has developed radiobiological assays for the hair follicle with the aims of developing a potential biological dosimeter and for assessing the differing radiosensitivities of radiotherapy patients. In recent years he has also been actively engaged in an ongoing multidisciplinary study investigating the role of cellular hierarchies, hormones, dietary factors, and extracellular matrix proteins on cell proliferation, apoptosis and carcinogenesis in the breast.